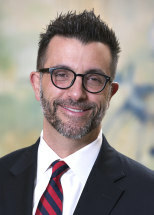 Bill Price is a seasoned trial attorney who focuses his practice on personal injury litigation for people who have been seriously injured or killed. His experience is in the fields of Medical Malpractice, Nursing Home Neglect, Defective Products, Negligence in Construction sites and Trucking and Auto Accidents. He has tried more than 50 civil cases in multiple areas of negligence, products liability and wrongful death. Each of Bill’s clients receive his personal cell phone number to ensure timely and continuous communication, both during and after business hours, and to provide immediate responses to any questions or concerns. Most lawyers do not give this option to their clients, and he takes great pride in offering such direct access. While no attorney can guarantee a specific outcome, Bill guarantees his clients’ satisfaction with his service as their attorney and welcomes constructive criticism. In addition to receiving the gratitude of his clients, several industry groups have recognized Bill for his abilities and results. Martindale-Hubbell®, a nationally recognized peer review system, allows other lawyers and judges to rate an attorney, based on his or her legal ability and general ethical standards. Attorney Price’s peers gave him their highest rating, AV® Preeminent™. In 2016 & 2017, Super Lawyers Magazine recognized Bill as one of the Top 50 Lawyers in the Cleveland and was included in the Top 100 Lawyers in Ohio. Each year, no less than five percent of the lawyers are selected to receive this honor. In addition to being recognized in the Top 50 and Top 100, Bill was selected from 2010 to 2013 as a “Rising Star” for lawyers under the age of 40 and from 2014-2017 was selected to the Annual Ohio Super Lawyers list. Attorney Price is also proud of his Avvo® rating. Avvo is a rating system, which allows colleagues and former clients to review an attorney based on his or her performance. He was given a “Superb 10/10” rating as a result of his years of experience, practice, and qualifications. The Million Dollar Advocates Forum, which also includes the Multi-Million Dollar Advocates Forum, is one of the most prestigious groups of trial lawyers, including only those who have won million dollar and multi-million dollar awards in their years of practice. Less than one percent of lawyers in the U.S. are members of the Million Dollar Advocates Forum, and Attorney Price has been a member since 2012. The following settlements and verdicts are just a few of the successful results he has achieved for various clients. $4.7 Million – A motorist sustained a crushing injury to his ankle, leaving him permanently disabled for the remainder of his life after a head-on collision with another vehicle. $3 Million – Gas explosion in Southern Ohio resulting in a father sustaining third-degree burns to his forearms and upper torso, leaving him permanently scarred and emotionally traumatized for life. $1.45 Million – A traffic control zone was improperly designed and maintained, which resulted in a motorcyclist sustaining a traumatic brain injury. The Plaintiff worked as a police officer and was picking up debris in the road when the Defendant, who was driving a truck, hit the Plaintiff and dragged him along the roadway. This resulted in the death of the Plaintiff. $850,000 – A tree-trimmer died due to a product defect when a fiberglass boom failed in the extended position when the deceased was trimming limbs near a power line. $575,000 – Our client fell out of a tube at a local water park, resulting in paralysis to the right side of his body. $300,000 – Our client slipped and fell on a diving board that was not properly maintained, resulting in torn meniscus and all tendons in knee. Plaintiff required multiple surgeries. . The Defendant failed to yield at a left turn and hit the Plaintiff, who was riding a motorcycle, head on. Our Client suffered lacerations to the forehead, road rash, arm and back injuries, and a fractured right leg, which required surgery. $249,000 – Soft tissue verdict with hairline fractures. Defendant failed to yield while making a left turn and plaintiff hit the front passenger-side wheel well. Plaintiff’s hairline fracture resolved in three months, however plaintiff suffered continuous soft tissue pain. Jury agreed. Bill has obtained settlements representing the defendant’s full policy limit for more than 60 of his clients. Bill Price...a great attorney, and a good friend My son (11 at the time) & I were involved in an accident at home involving an item that was subsequently pulled from the market after causing injury, burns and explosions to us and several others in the US. We both sustained severe burns from the faulty product…my son was burned on 20-25% of his body, thankfully his back, legs and arms; and the skin on my entire right hand was burned. Both of us had 3rd degree burns. Both of us required skins grafts, spent three weeks in the burn unit of a hospital, spent countless time in physical therapy. We both had to wear garments to cover our burns for protection and to help the healing process. In my case I wore fitted glove 23 hours a day for 15 months. My son’s scars are disfiguring and were not allowed to be exposed to sun for several summers. Our medical staff was excellent, but we both have scarring that will never go away. These reasons led us to file a lawsuit. After talking to another firm, they brought in and introduced me to Bill from Elk & Elk, and our case was turned over to him. Bill was involved from the beginning in every detail of our case including: meetings with the doctors on our case, meetings with PT…also filming a session to show the process, meetings with witnesses to the accident, sorting thru piles and piles of medical records, calls to other attorneys handling similar cases for others using the same product on the national level, research on the company that produced the product (US parent company, produced in China), sorting thru data that was compiled by the Government resulting in the product being recalled, consulted a psychological who met with both of us, and most importantly…met consistently with my husband and I continuously as we progressed thru our case as we prepared for a potential trial. This just lists a few of the details pertaining to building our case, there was so many other minute details that I have not listed. This entire process was over a period of 4 years before we ultimately worked with a mediator to come to a settlement. Bill provided contact with an investment firm that handled investing the settlement for our son. Why isn’t the insurance carrier using new parts on my car?